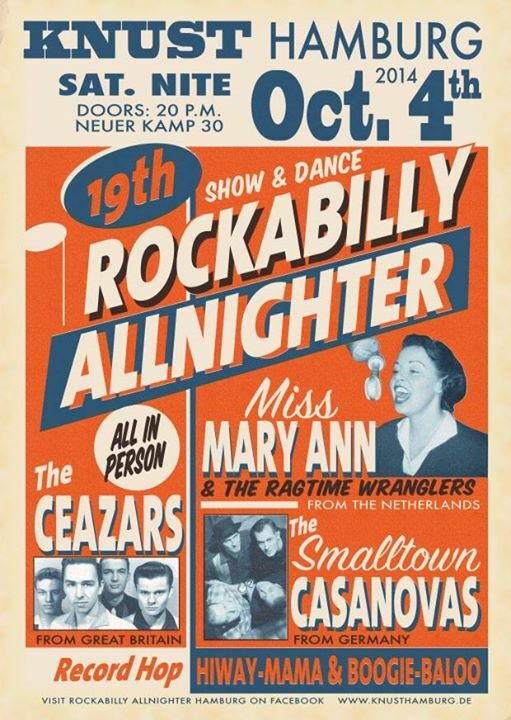 Saturday 4 October Miss Mary Ann & the Ragtime Wranglers will travel up to Hamburg to the Rockabilly Allnighter with the Caesars and Smalltown Casanova's. The flyer is a link to the Facebook event. 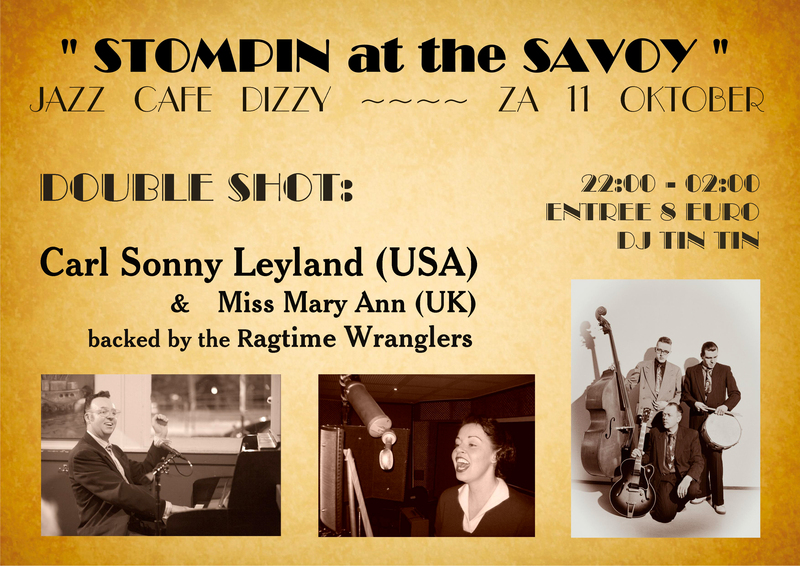 Saturday 11 October the Ragtime Wranglers will back up Carl Sonny Leyland and Miss Mary Ann at Jazz cafe Dizzy homebase Rotterdam.  We will play just one set; alternating singers and some instrumentals. DJ Tin Tin will play vinyl before and after the gig. The flyer below is a link to the Facebook event.